Russia's hybrid military forces attacked Ukrainian army positions in Donbas 26 times in the past 24 hours, with four Ukrainian soldiers reported as wounded in action (WIA), according to the press service of the Anti-Terrorist Operation (ATO) Headquarters. The situation in the Luhansk sector escalated most by the end of the day when the Russian-backed militants used grenade launchers and small arms several times to attack the Ukrainian positions in the villages of Novo-Oleksandrivka, Novotoshkivske, and Stanytsia Luhanska. 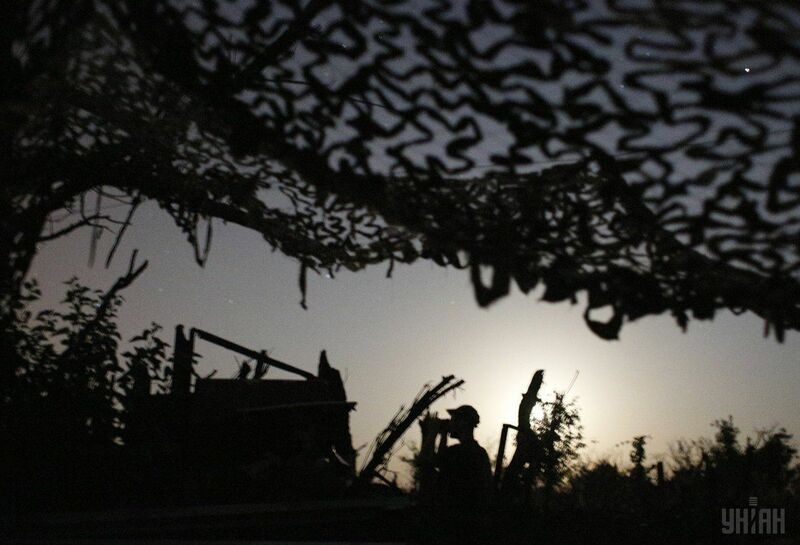 In addition, the Ukrainian fortified positions in the village of Krymske came under mortar fire at about 21:00 Kyiv time on Sunday, July 30. Read alsoATO HQ update: One Ukrainian soldier killed, seven wounded amid 14 attacks in Donbas in past dayIn the Donetsk sector, the Russian occupation forces fired grenade launchers and heavy machine guns on the Ukrainian fortified positions in the village of Zaitseve and Butivka coal mine. As a result of these attacks, two Ukrainian soldiers were wounded. Moreover, the Ukrainian defenders of the village of Maiorsk and the town of Avdiyivka came under grenade fire in the evening. "Another Ukrainian soldier was wounded amid enemy shelling of a Ukrainian fortified position in the Mariupol sector at about 18:00 Kyiv time. Furthermore, the enemy used 82mm mortars against our fortified positions in the villages of Pavlopil and Hnutove. The ATO forces fired back in response to most enemy attacks," the ATO HQ said.